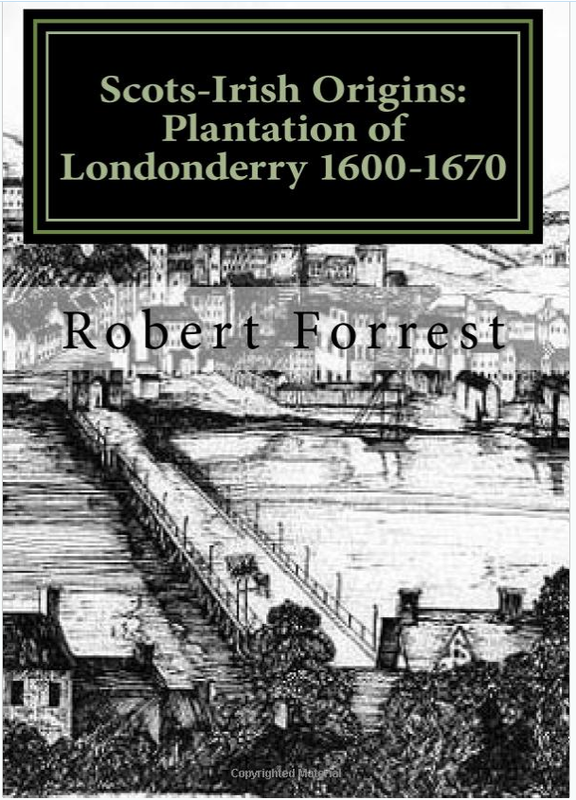 Sir Robert McClelland of Bombie (Kirkcudbright) in Scotland was a key player in the plantation of the new county of Londonderry primarily in the north of the county between Limavady and Coleraine within the baronies of Keenaght and Coleraine. In the early seventeenth century he became the landlord of a two large estates that he leased from the Haberdashers' and Clothworkers' companies of London. Manor of Freemore. 15 April 1617 Sir Robert McClelland (6 August 1616. 51 years from 1617 for a fine of £1,000 and £350;10sh per annum from 1620). Manor of Clothworkers. June 1618. 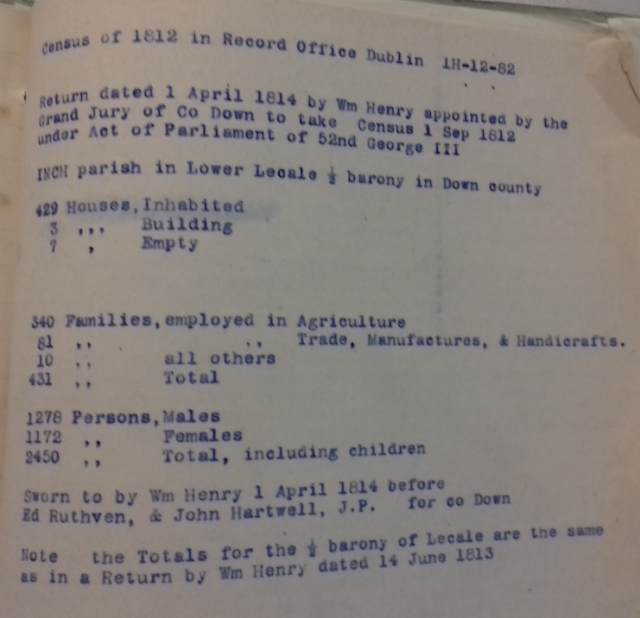 Sir Robert McClelland (51 years from 1618 for £600 8s 4d for first three years and £250 per annum thereafter). 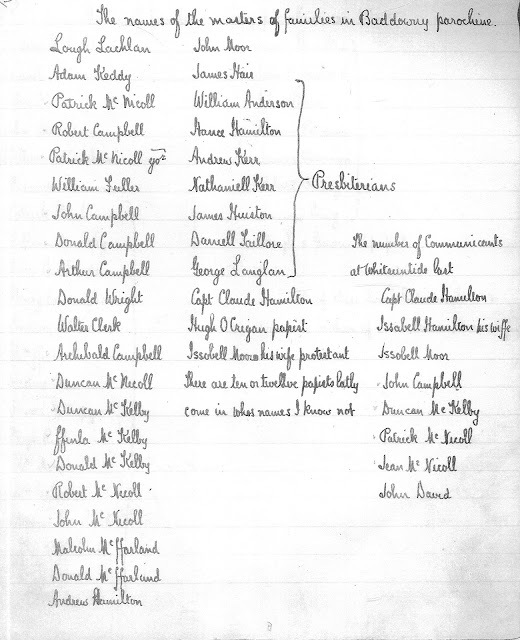 McClelland attracted many Scots from his own lands in Kirkcudbright to his estates in Ulster. His estate became a bridgehead for immigration from Scotland into the north of the county primarily through the port of Coleraine. 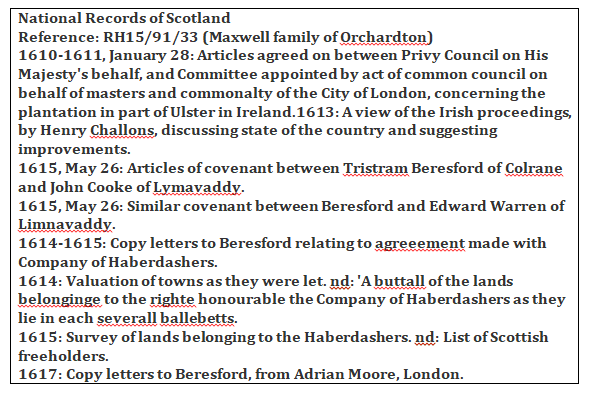 As a result there is also documentation in Scotland concerning McClelland's estates in Ulster in the early seventeenth century (primarily through the papers of his son-in-law Sir Robert Maxwell who inherited part of the Haberdashers' estate). Several things are worth noting: the letter c used by the writer is a secretary hand c. Written correctly this has a lead in stroke from the bottom left, a down stroke, a cross stroke and a diagonal stroke ending above the right side of the letter. The c in the word corne in line 2 is a good example. Sometimes, if the diagonal stroke ends heavily, it can look like a dot (for example in the word especially – the first word in line 3). especially those part[is] which lie the nexte the Riv[e]r of Roo. For grassinge and large Townes. 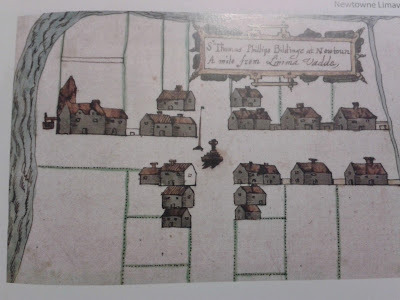 Ardekille or Artikelly mentioned above was the townland where Abraham Hillhouse (c1610-1676) had settled by 1639 (see previous post linked below). 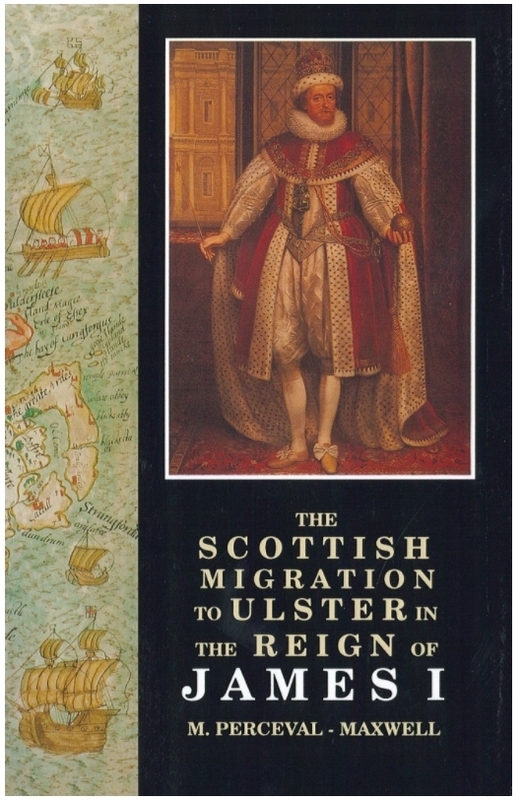 My interest in the documentation on the Ulster Plantation from the Scottish archives was aroused by a most brilliant scholarly study of the period in M Perceval Maxwell's opus 'Scottish migration to Ulster in the Reign of James I' (UHF, 1990). 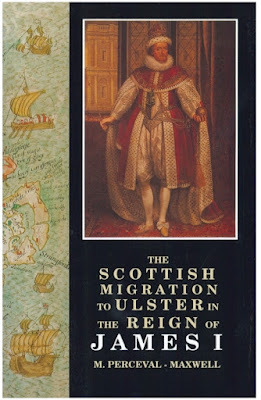 I cannot recommend this book enough for anyone interested in migration studies or the plantation of Ulster. It is a classic.